In this installment of our Catechism Series with Pr. Joe Abrahamson, we discuss how God wants us to receive His grace, mercy, and forgiveness in the Sacraments. What are Sacraments? What do they actually give to us? Pr. Abrahamson outlines the differences between the Lutheran view of the Sacraments on the one hand, and the Roman Catholic and Reformed views on the other hand. The last two might more alike that you think! Luther emphasized that the Catechisms are meant not just for study by pastors, Church and school, but primarily for the Home. Fathers are to instruct their children and daily to pray the Catechism at home. 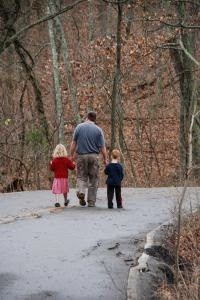 The Church today cannot make the parents carry out this loving work. The Church can encourage, entreat, portray the value of this teaching. But as the cares and pleasures, the schedules and the concerns of this life take priority, the teaching of the young in the way of truth falters. And the young are taught to enjoy the good of this worldly life but loose hold on sin, repentance, and the forgiveness won by Christ, given to them in Word and Sacrament. This is not a new problem. It is a persistent and old problem. 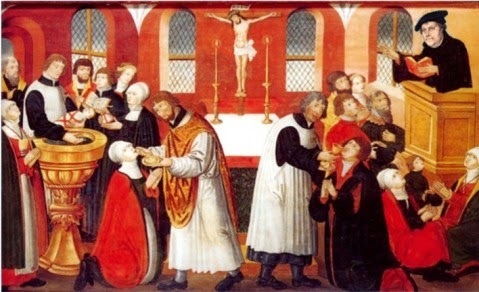 And through the centuries the teachers of the Church have encouraged fathers, families to take up the Catechism for the benefit of the faith and salvation of their own households. How many, who are acquainted with the Small Catechism, know its preface which together with the introduction to the Large Catechism offers an incomparable, simple, yet truly religious method of catechetical instruction? And again, how many know both prefaces without having observed that the Catechism was written not only for the Church or school, but also for the home? Home, school and Church become One Church through the dear Catechism. Why is the very important factor of the home omitted? That is the reason why the Catechism is memorized so miserably, and sounds so wooden and flat, because it is not considered as something intended for the home, nor for daily life, nor as a life philosophy, but as a lesson for children and the school room. As a watch-word belongs on the lips of all who are united in one camp, thus the Catechism as a spiritual watch-word should be on the lips of all. The father, the children, the servants should use it; pray, learn, appreciate it. Thus it will become the cruse of oil of the woman of Zaraphath that does not fail. Yes, when the Catechism again becomes a book for the home, then the people will realize what a flood of strength proceeds from it for the Church and for all her undertakings. Catechetics: Or, Theory and Practise of Religious Instruction by Johann Michael Reu, Wartburg Publishing House, 1918. What is the most neglected part of the Small Catechism? According to Pr. Jordan McKinley, it’s not what you might think. He draws our attention to the repeated – and neglected – parts that say, “As the head of the family should teach….” Pr. McKinley also gives practical tips for how parents can teach the Catechism at home, especially in the context of family devotions. 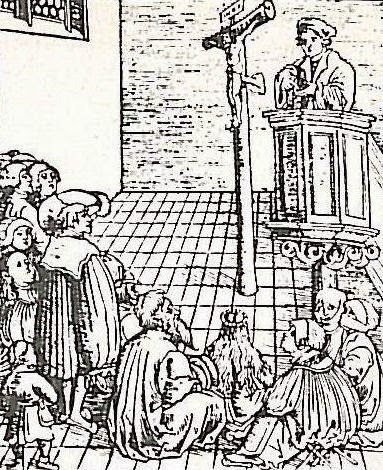 We conclude our look at how the Small Catechism was used in 1580; the year the Lutheran Book of Concord was published and adopted as the confession of what Scripture teaches. 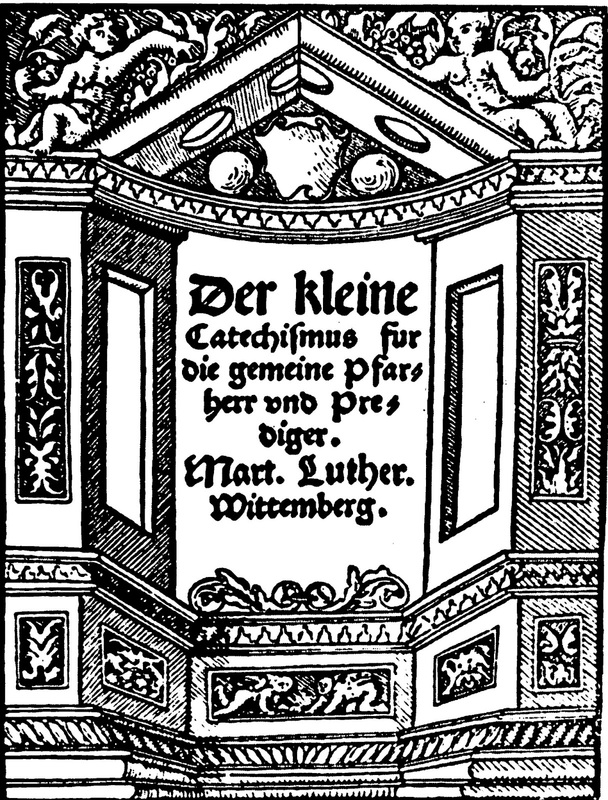 Martin Luther's Small Catechism is included in the Book of Concord as one of the Lutheran Confessions. How did they use the Small Catechism? "Of the Office of the Sacristan or Verger." 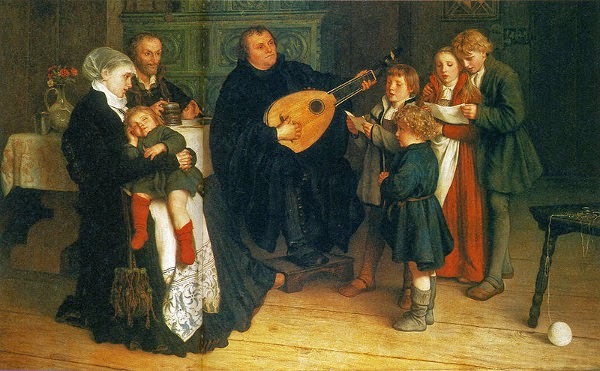 Afterwards each sacristan shall be obliged on Sunday afternoons and also in the week, upon a certain day, to teach the children the Catechism and Christian German hymns of Dr. Luther and afterwards to examine them about the sections of the Catechism that were taught them. And where one or more congregations belong to the parish he shall alternate in such instruction under the direction of his pastor that the youth in all the villages may be instructed in the Catechism. Reu, M. 1929 Luther's Small Catechism: A History of Its Origin, Its Distribution and Its Use. Wartburg Press, Chicago. Page159. We continue to look at how the Small Catechism was used in 1580; the year the Lutheran Book of Concord was published and adopted as the confession of what Scripture teaches. In Part 6 of our Catechism Series with Pr. Joe Abrahamson, we discuss the Third Article of the Apostles’ Creed on the person and work of the Holy Spirit, who brings us to faith in Jesus Christ. Then we discuss the Lord’s Prayer, why it is that only Christians can truly pray, and some fascinating connections between the structure of the Lord’s Prayer and God’s original creation. 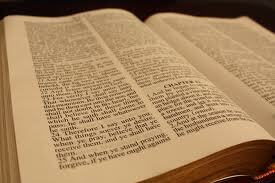 1580 was the year the Lutheran Book of Concord was published and adopted as the confession of what Scripture teaches. But how did they use the Small Catechism?